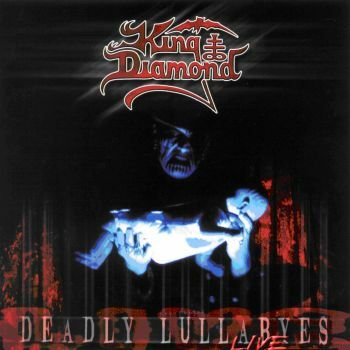 KING DIAMOND - DEADLY LULLABYES VINYL (2LP RED/ BLACK) | Online Shop | Wizard LTD. Album: "DEADLY LULLABYES VINYL (2LP RED/ BLACK)"
Finally! The double live album, originally released in 2004, now available as a double vinyl with new gatefold layout and new vinyl colors in a strictly limited edition! New Layout in Gatefold sleeve + exclusive poster! 500 copies in red/black marbled vinyl + 200 copies on “crystal clear” vinyl (Mailorder Edition), hand-numbered!